London’s a city that everyone needs to visit at some point in their lives (and somewhere I should stop taking for granted). It’s got nearly everything you’d want in a city: history, culture, good food, nightlife, entertainment in all shapes and sizes and attractions for literally anyone. The only thing we’re missing in ol blighty is some decent weather. No, I’m being mean here. We do get sunshine sometimes – and London’s worth visiting even in the rain, trust me. I was born in Bromley, the largest London borough, and lived there for the first 18 years of my life. 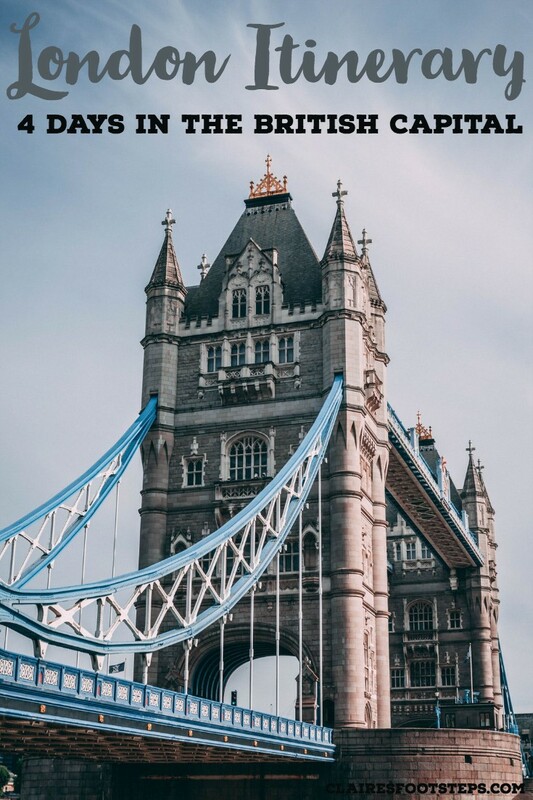 While I travel around now, London is my official ‘home’ base, so I feel like it’s about time I created a London itinerary to show you all the best of my home city. I’m going to guess you know the main highlights of London already, but this itinerary will really help you when you’re trying to work out exactly what to do when on your 4 days (or more!) in London. 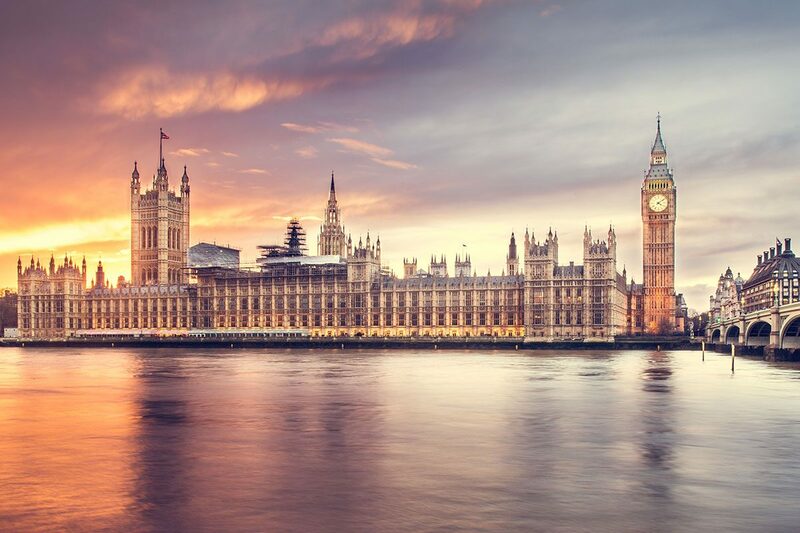 This 4 day London itinerary covers the highlights of the city, including attractions like Westminster Abbey, Buckingham Palace, the Tower of London and St Paul’s Cathedral. I also feature the best entertainment facilities and some other attractions that you might not know about. It also includes some of my favourite restaurants in London and some recommendations of where to stay in London. While 4 days in London is a good amount of time to scratch the surface, you could spend an almost unlimited amount of time in this city. I lived in London for 18 years and I’m still nowhere near seeing it all! If you’re wondering how much time to spend in London, I’ll include a section at the end of this post about ideas for extra days, including some day trips from London. But London is worth visiting to visit no matter how much time you have. And the beauty is, you can come back to it time and time again. London changes each season, each year, each week. It’s hardly the same now as it was an hour ago. It’s such a dynamic and evolving city that constantly keeps people coming back for more. And I’m so lucky that I can keep on coming back for more. Without further ado, let’s delve into this 4 days in London itinerary for first-timers. Obviously for this London itinerary 4 days is the optimal amount of time, but I’m writing presuming that you have arrived into the city on the evening before this itinerary begins. Obviously if you arrived at a different time, adjust accordingly! London is very well connected to almost everywhere in the world – there’s even a direct flight from London Heathrow to Perth, Australia nowadays. Arrive at the airport and travel to your hotel – your options include (from cheapest to most expensive) coach, tube, train or taxi. 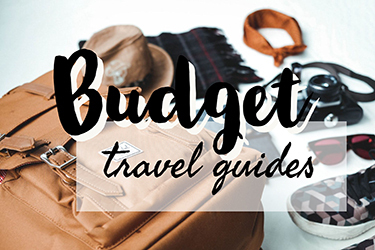 If you’re visiting London from Europe, train or coach from the continent might be a more budget-friendly option than flying (plus it’s better for the environment!) – and you’ll be dropped a lot closer to the centre. If you’re travelling to London from elsewhere in the UK, the best ways to reach the centre are by train or coach (the coach, especially the Megabus, is much cheaper). Begin your day at Westminster tube station. 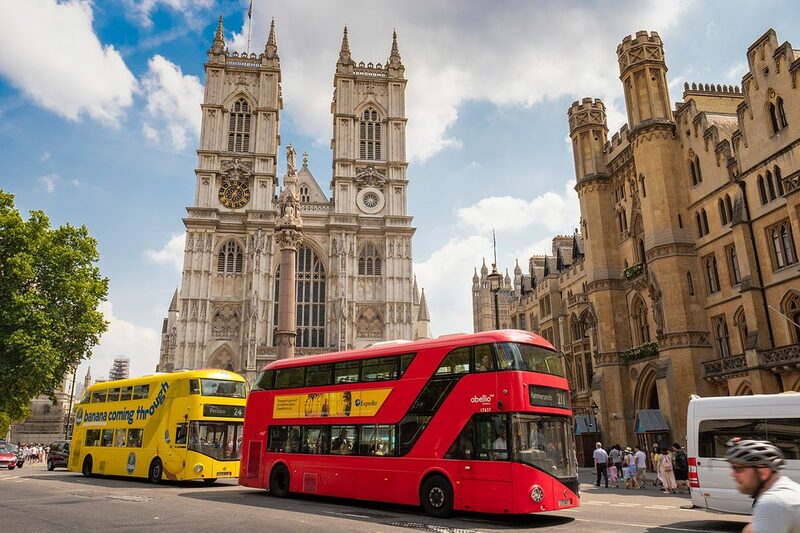 Served by the Circle, District and Jubilee lines, it’s the perfect launching pad for Westminster Abbey – one of London’s most famous attractions. Westminster Abbey has a photographer’s dream for an exterior; but once you’ve got a very British snap for the exterior (the more union jacks you can get into the fram, the better!) you’ll want to check out the inside. The building was erected between 1245 and 1272 and is the place where various famous people from British history were buried. It was also the wedding venue of Prince William and Kate Middleton, making it a popular spot with fans of the royal family. Another highlight is the Coronation Chair, which every king and queen since at least 1399 has been crowned upon. Westminster Abbey is really one of the essential places to visit in London to learn about British culture and history. It costs £22 to purchase tickets on the door or £20 to buy them in advance online. I know that’s a bit of a painful amount to cough up on your first morning, espeically if you’re paying for a family, but it’s worth it. 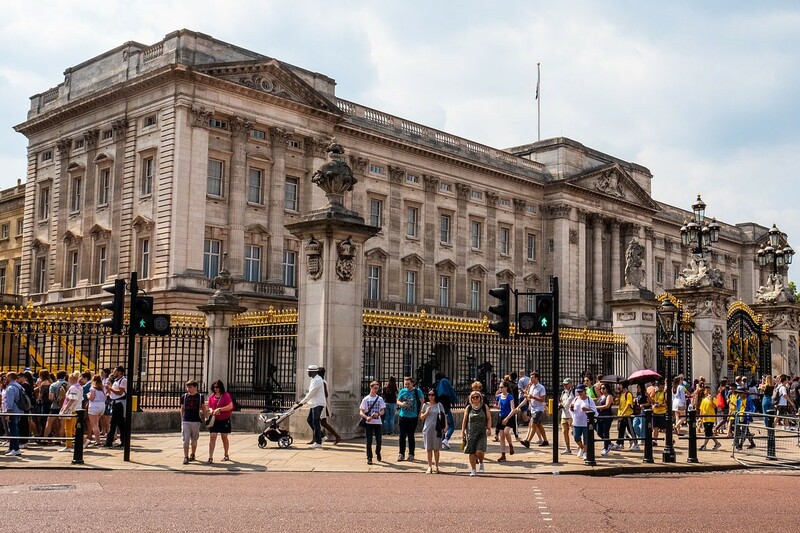 Once you’ve got your fill of the abbey, it’s a 14 minute walk to Buckingham Palace. You can only go inside 2 months of the year (and it’s expensive!) but the guard change is year-round – although not daily. Check whether the guard change will be on here. The exterior of Buckingham Palace is grand and invites exploring, even if the change of the guards isn’t on. It’s a huge place, and there are some great photo angles to catch. After you’re done walking around Buckingham Palace, take a stroll through Green Park. It’s a leafy area that’s a pleasant green lung in the city. You’ll eventually reach Picadilly (great for you monopoly enthusiasts! ), which is an iconic London street to stroll down. You’ll walk past the Ritz Hotel and will see London cabs, red phone boxes and equally scarlet double-decker buses go past. Taking a left from Piccadilly, you’ll start to reach Soho. It’s a fun spot to walk around and is also great for lunch! I’d highly recommend the delicious all-vegetarian restaurant Mildreds which harks from the very non-vegetarian time of 1988. It can get busy there and they don’t take bookings, so be prepared for a short wait, but know that it is well worth it! After lunch, it’s time to check out a museum! The British Museum is one of the best collections of global history and art in the world. And it’s completely free to enter! It was the first national museum to be open to the public in the museum and has findings made by British explorers from home and abroad. 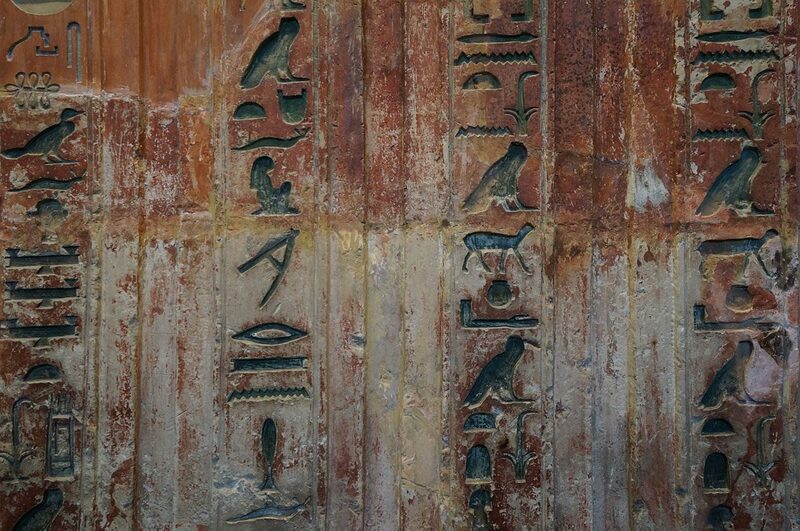 It includes exhibits from Ancient Iran, Greece, China, Egypt and more. Once you’ve finished at the British Museum, it’s time to walk towards Big Ben (which is actually the name of the bell, not the tower, which goes by Elizabeth Tower) and the Houses of Parliament. While these attractions are generally admired from the outside, it is possible to witness a debate at the Houses of Parliament. You’ll need to book in advance, but they are free to attend. If you don’t fancy watching Theresa and Jeremy have a jolly old showdown in the houses, just take a stroll by the Thames and enjoy soaking in the quintessential London atmosphere. Nearby is the London Eye, which is a must-do while in the capital. You can purchase tickets in advance or buy them there. They are slightly cheaper in advance and you won’t need to wait, but you will be locked into a time. With any luck, you’ll see the city spread out beneath you in light, at dusk, and in dark (I mean, you’ve got to time it really well, but let’s presume you’re lucky). Afterwards, I recommend checking out a cinema at the IMAX and having dinner nearby. 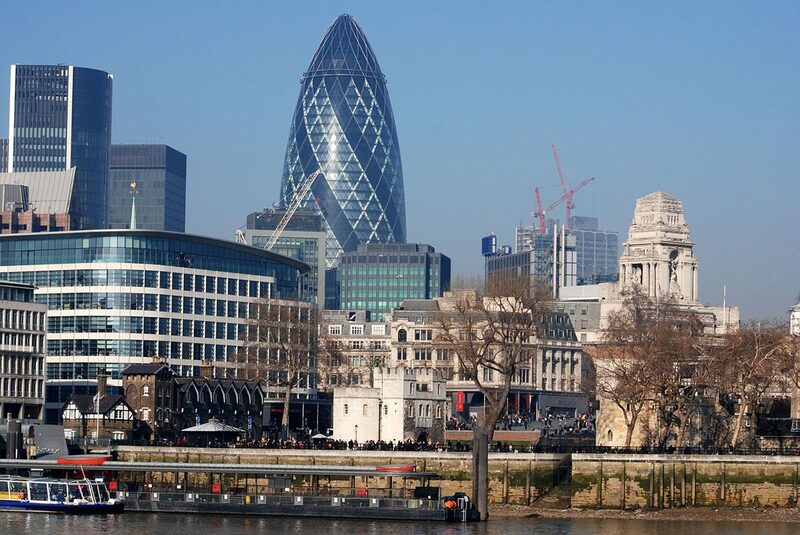 It’s time to check out the City of London for your second day in the capital. 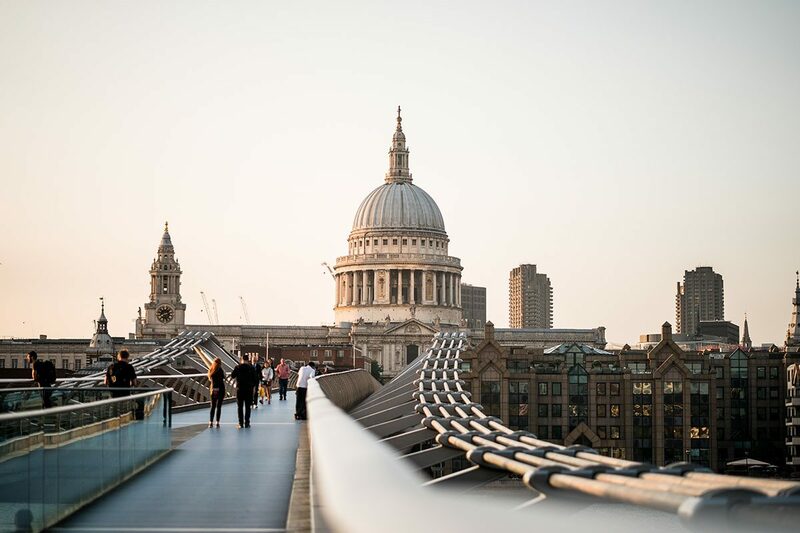 Start your day at St Paul’s Cathedral. The nearest tube station is the creatively named St Paul’s tube station. St Paul’s is one of London’s prime attractions. The crypt, which is the resting place for some of London’s most notable characters including the Duke of Wellington and Admiral Nelson. Ocolus which is inside a theatre in the crypt, with a 270 degree film detailing the history of St Paul’s. Next up is the Tower of London. Located a 22-minute walk from St Paul’s Cathedral, it’s a great spot to visit. You’re in the bridge region of London (disclaimer: I just made up this name), so go via Millennium Bridge. From here, you can get a great view of the cathedral if you turn around (stating the obvious since 93, don’t mind me). A more exciting fact is that it was used in Harry Potter and the Half-Blood Prince as the site of a dementor attack. Spooky! Walk back over the iconic Tower Bridge to reach the Tower of London. Tower Bridge is a great photography spot in London; you’ll be able to snap the bridge itself from different angles and the view of the castle and the rest of the city from the side. Then it is time for the Tower of London. This spooky joint is one of the best attractions in London and is oozing with British history. It has had a varied past; enjoying life as the Royal Mint, a jail, and even a zoo (although we shouldn’t be enjoying zoos nowadays y’all, they’re cruel). 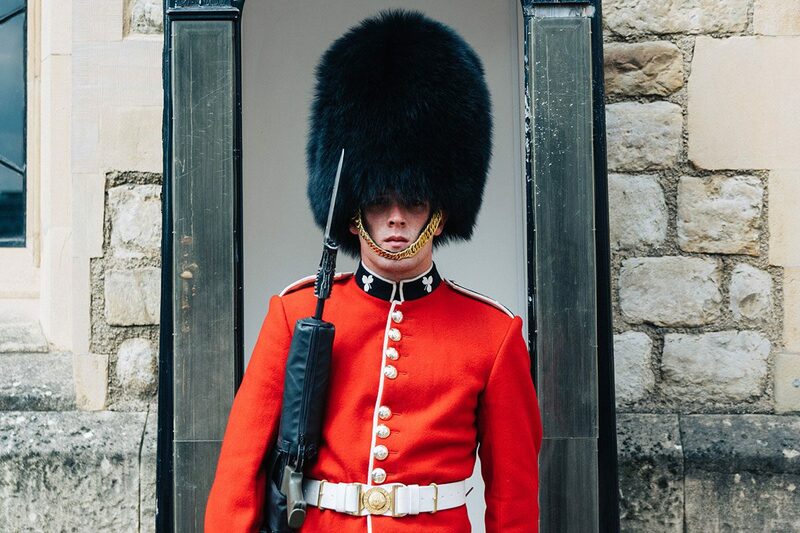 You’ll get to learn some fun facts about the history of London while you walk around the tower and see the Crown Jewels, which reside there. It costs £22.70 for adult entrance. After ticking off two of Britain’s top attractions, you’ll most likely be a tad peckish! Have no fear, nearby is Borough Market. If you’ve watched the YouTube show Markets of Britain and are keen to see what they’re really like, now is your chance. Spoiler: they’re not all like they are on YouTube. Borough Market is London’s oldest food market and has been around for a whole 1000 years. It’s made giant leaps and bounds in the last millennium (sorry, I’m stating the obvious again) and now nods to London’s cosmopolitanism by having a fantastic range of world food stalls. There are a few vegetarian-only stalls in Borough Market, most of which have lots of vegan options. These include The Big V with seitan mushroom burgers and hotdogs, the Egyptian stall Koshari Street, Gujarati Rasoi which is a vegetarian Indian stall with some vegan options, middle-eastern meze stall Arabica and Sweet Roots which serve vegan sweets. After enjoying the bustling market, take a tube to Oxford Street. It is the busiest shopping street in Europe; but even if you don’t want to shop here it’s worth a stroll around to soak in the atmopshere. (I actually don’t think I’ve ever bought something from Oxford Street – shopping stresses me out). Selfridges is probably the most famous shop on the street, with six floors and 11 places to eat. There are also many British high street stores – more often than not it will be the largest branch in the country. If you’re like me and aren’t a fan of clothes shopping, check out Foyles which is a huge independent bookstore. I’d probably spend my entire 4 days in London here, but there are some other attractions to check out in the area, like Marble Arch. This monument is a famous London landmark and used to be a place of public execution. Just in case the Tower of London wasn’t enough of London’s gory history for the day! If Oxford Street really isn’t your thing, Hyde Park is nearby. It’s the green lung of the city and is home to walking trails, flora and fauna, boating opportunities, a Speaker’s Corner which has been the site of speeches and debates since the 1800s and many memorials, fountains and statues. Phew! Once you’ve done about as much hiking in London as you can – whether it’s through the stores or around Hyde Park, check out Covent Garden for dinner. It’s lovely at any time of day, but the evening is when it comes alive, with live street performers, buskers and a lovely atmosphere. Grab some dinner in town – I highly recommend the all-vegan By Chloe in Covent Garden, where you can grab some veganized British classics. My favourite is the ‘fish’ and chips, but there is also shepherd’s pie, macaroni cheese and more – all completely vegan!. With amazing options for cruelty-free British food, there’s no reason to want to reach for the meaty options. 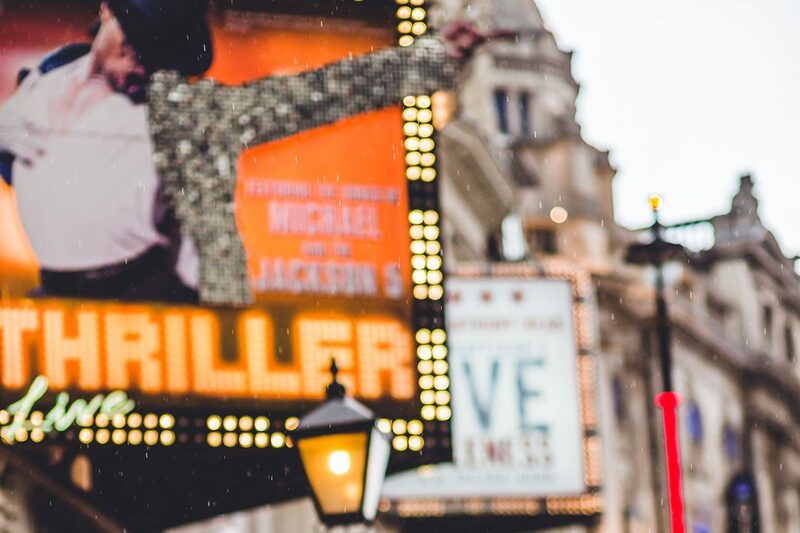 After a yummy dinner, head to the West End to see a show. There are a range of shows throughout the year, including the Lion King, Wicked and more. Buy tickets from here. Day 3 kicks off with another free museum. The Natural History Museum is one of London’s best and displays a range of artifacts from British and national history. You’ll learn all about the dinosaurs that once roamed the country (and see some huge skeletons! ), educate yourself in the flora and fauna of Britain and even get the chance to go inside an earthquake simulation. If you have time the natural history museum can be twinned with a visit to the V&A (Victoria and Albert) museum. This museum is one of the world’s best collections of art and design objects. With many national collections of the UK as well as examples of architecture, furniture, fashion, textiles and photography, visiting the V&A is an enthralling experience. 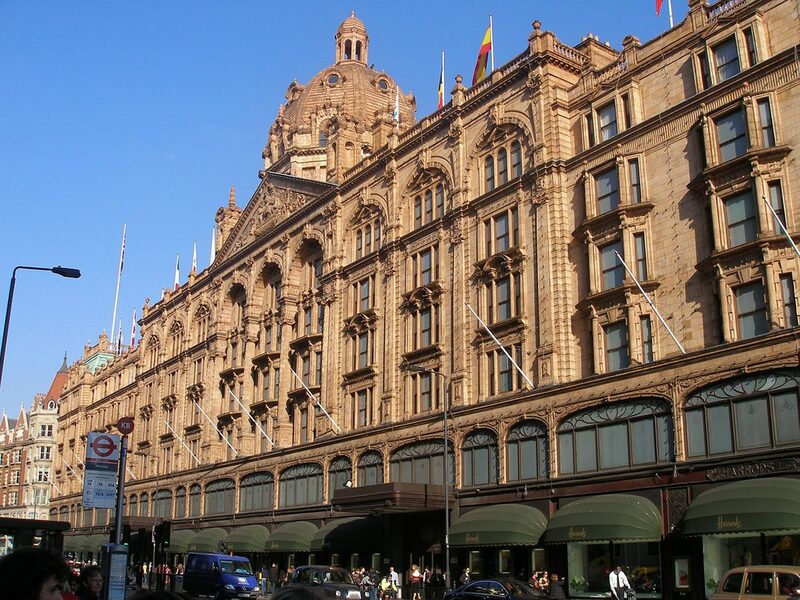 It is just a short walk from the V&A Museum to Harrods. I’d recommend having lunch here – although it will come with a hefty price tag, it is a quintessentially British experience. There are a few different restaurant options within Harrods, from fine dining to afternoon teas. Pick your favourite depending on your tastes and appetite! Some dishes can be veganised, although there doesn’t seem to be an option for vegan afternoon tea yet. PETA has a good list of vegan afternoon teas, both in London and around the country. After a fairly elegant morning in eastern London, take the tube to London’s east to explore this neighbourhood. 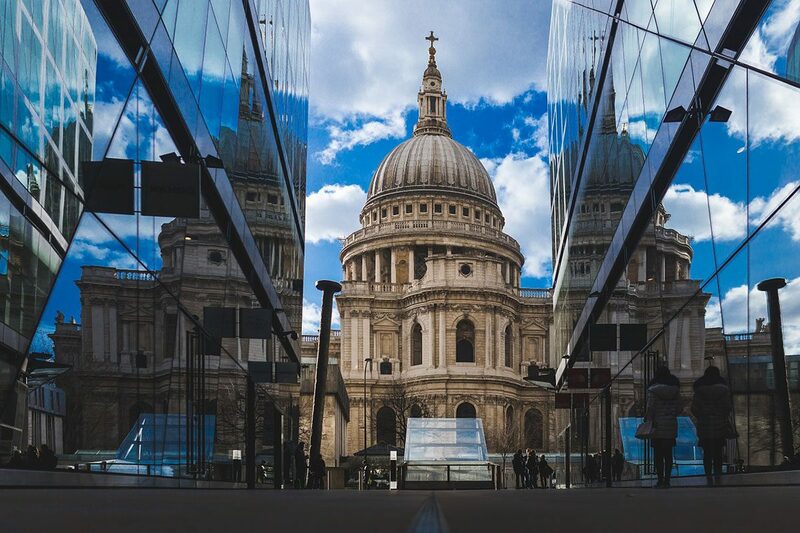 Take the tube to St Paul’s (and say hello to the cathedral again!) before exploring the east. The rest of day 3 of your 4 day London itinerary will take you on a walking tour slowly east, to see some of the best parts of this area of London. First up, the remains of London’s Roman Wall are quite significant – and a tourist attraction that many do not see. There’s hardly any of them now, but they are worth the trip. They are close to St Paul’s underground station and the cathedral. Next up, head to One New Change shopping centre. ‘Another shop? !’ I hear you cry. 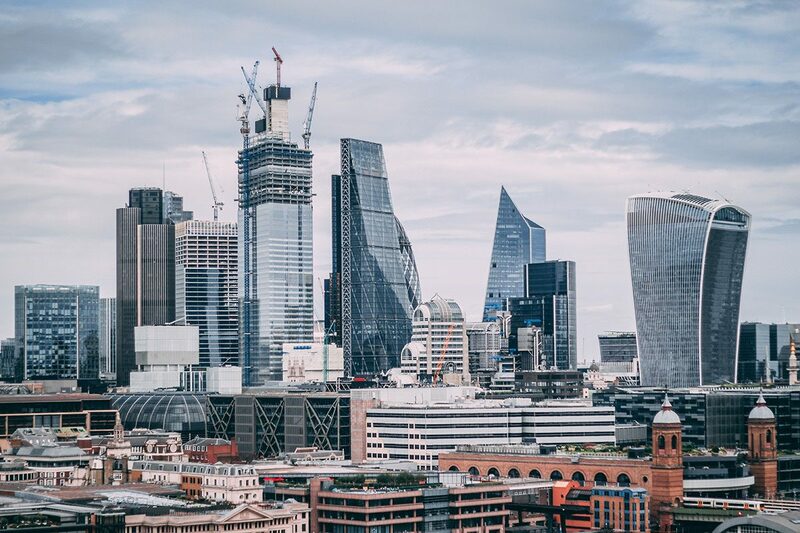 Don’t worry, I’m not recommending any time in Topshop – head to the rooftop to catch a winning view of the City of London. Trust me, you won’t be disappointed. If the mood takes you, you could also visit the rooftop bar, Madison, for a glass of prosecco while gazing over St Paul’s massive dome. Walk through the streets of east London, enjoying the old buildings that are brimming with history throughout the decades. 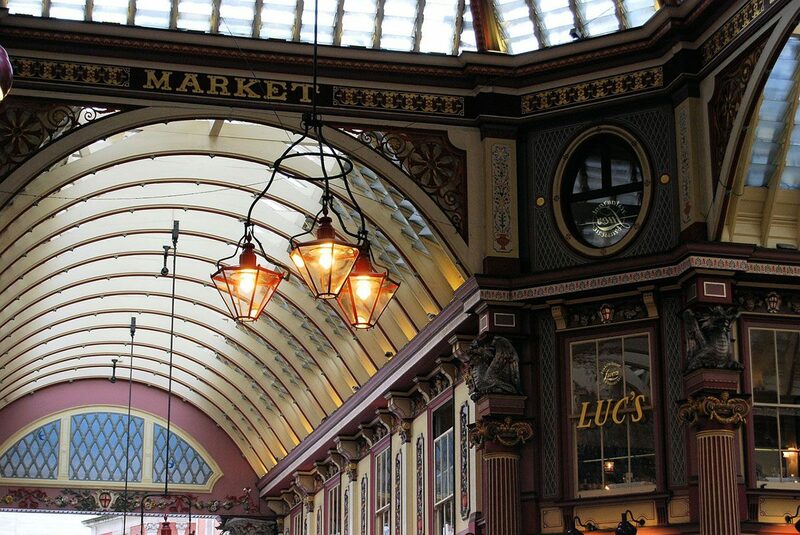 Eventually, you’ll get to Leadenhall Market, which is a must-see for any Harry Potter fans among you! It served as part of Diagon Alley in the first film of Harry Potter. The doorway to the Leaky Cauldron pub is actually an optician, located at 42 Bull’s Head Passage. As you walk around Leadenhall, you’ll get a real sense of the magic of the wizarding world and your main question will be should I buy my wand or my wizarding hat first? As you head north-east, you’ll walk right past the Gherkin. This interesting building has been used as an icon for London’s business focus since it was constructed (have you ever seen The Apprentice?) and it’s certainly an interesting shape, great for some photos! Jack the Ripper tours leave from near the Gherkin. If you fancy being spooked, this hour and a half trip will show you around the east end and detail some of its goriest history. Jack the Ripper was a serial killer in the 19th century, who remained unidentified. It will give you a good understanding of the perils of 19th century London, with some interesting stories to boot. If you don’t fancy the ghost tour, you can carry on with this self-guided walking tour. Next is Old Spitalfields Market. Harking from the 17th Century, Old Spitalfields serves lots of delicious food stalls – perfect for an afternoon snack! – and is home to jewellery, books and clothes vendors. Be sure not to eat too much at Old Spitalfields though, because it’s dinner time! Brick Lane is one of the most vibrant parts of the city of London and is perfect for Britain’s favourite meal… curry! Before dinner, take a walk around Brick Lane to see some of the intriguing street art that tells the tale of this area of the city. 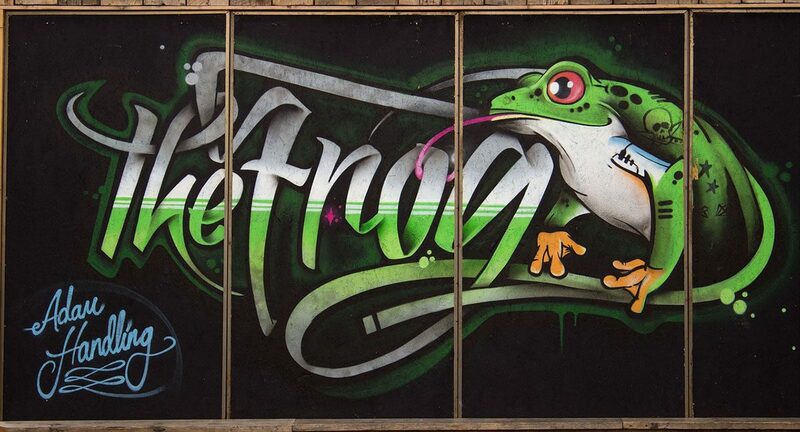 Artists like Banksy, D*Face and Ben Eine have all decorated the walls of the street. Other highlights on the road are the Great London Mosque, historic buildings like The Director’s House, the Vat House and the Engineer’s House. And of course, there’s nowhere better than Brick Lane for curry. Eateries line the streets, all offering authentic dishes from India and Pakistan. There’s even an all vegan curry house, City Spice. After your meal, head into Shoreditch high street for some nightlife. There’s tons of bars in Shoreditch, and it has a great vibe any day of the week. Favourites include Ballie Ballerson (which has giant ball pits! ), the Book Club (of course I’m recommending a club involving books – there’s more beer than bronte there though I promise!) and the Blues Kitchen. Shoreditch is a good time, but it has a tendency to make people’s heads hurt the next day. If you’re not too under the weather, get up early to visit Greenwich on your last day in London. South of the CBD, Greenwich feels like a town within itself – which it is, really. It is home to a beautiful park, the Cutty Sark, the east and west hemispheres and lots of pubs, bars and restaurants. It’s an absolutely beautiful place for a stroll around as well. In Greenwich observatory it’s possible to visit the planetarium to find out more about the cosmos that surrounds us – a humbling experience. After, learn about the history of Greenwich Mean Time (GMT) which will detail how clocks changed the world. You’ll get to learn all about why the Meridian Line is there – and then head to the line itself to stand with one foot in the east and one in the west hemisphere! Next, move on to Cutty Sark. The fastest ship of her day, the Cutty Sark now resides on the Thames at Greenwich. The ship can be climbed upon, giving vidsitors the change to learn how to steer the ship. It also tells guests the story of the boat and there are spectacular views from the boat. It costs 12.15 for adults to visit the Cutty Sark, and 6.30 for children. Which is a picnic in Greenwich Park! 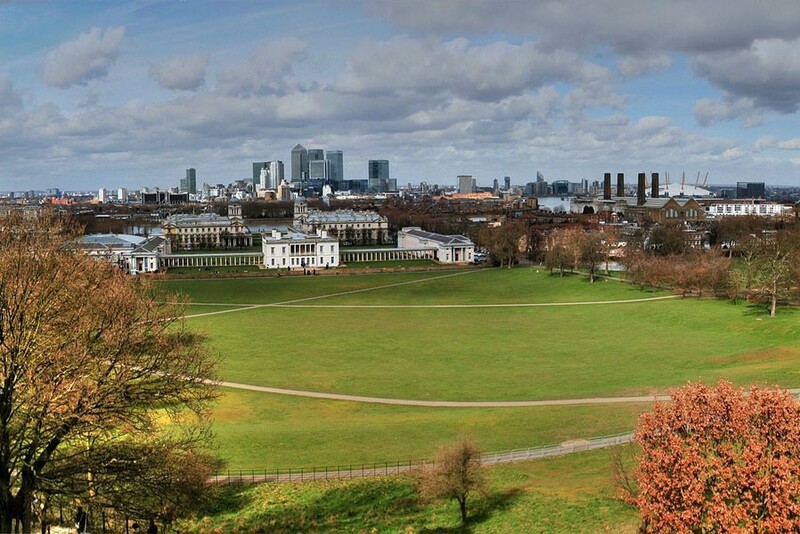 This huge green space is ideally situated over the London skyline. Purchase some goodies from one of the mini supermarkets in Greenwich (not tryna brag, but London’s to go food section is probably the best in the world) and enjoy your lunch while looking over the capital of Britain. Help your food go down by a stroll around the park afterwards. This green space in the middle of such a busy city is a lovely way to spend an afternoon. After eating, you have a few options to spend your afternoon. 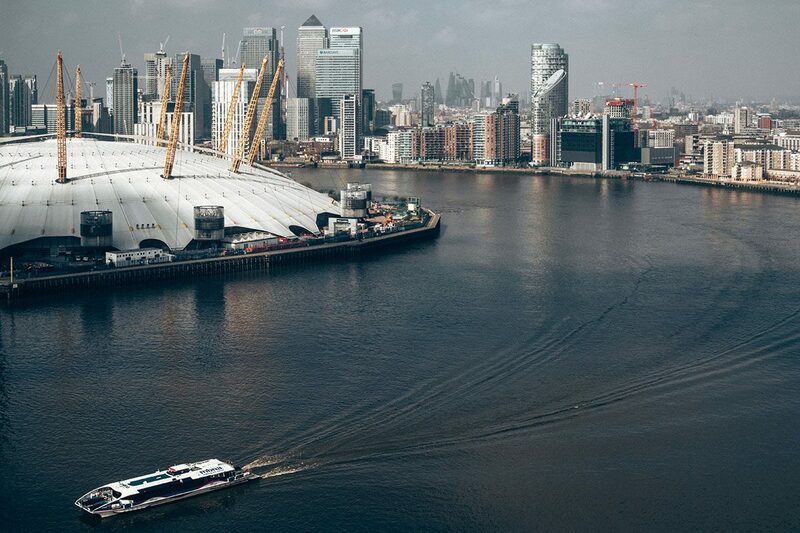 If it takes your fancy, you can scale the O2, Britain’s favourite concert arena! It was built for the millenium and was only meant to be a temporary part of the city, but because people loved it so much it was made into a live music venue. It also accommodates clubs, restaurants and bars. It is 52 metres at its highest point and climbing up this building is known as ‘urban mountaineering at its finest’. Tickets for Up at the O2 start at £3o and must be booked in advance. If you choose this option you may prefer to get dinner in the O2 rather than going to Camden in London’s north, as suggested in this guide. There are tons of restaurants within the arena, so you won’t have any trouble finding somewhere! Also check the Indigo2 website to see what is on. If you have time, it is well worth the 30 minute journey to Chislehurst to see the Chislehurst Caves. They are actually manmade mines and hark back from the Saxon age and served as London’s largest air raid shelter in World War Two. The cave network was known as “The Town Underground”, and had facilities such as a shop, a school, a church and a citizens advice bureau! In more recent times they have been a concert venue, and the likes of David Bowie (a local star), Pink Floyd and The Who have all played there! Tours leave every hour on the hour. From Chislehurst, you can take a train directly to London Bridge. If you prefer and it is winter, from Greenwich consider taking the DLR to Canary Wharf to go ice skating amongst London’s tallest buildings. Another option is, if I haven’t museum-ed you out yet, to take the DLR from Greenwich to Bank and then the Northern Line to Elephant and Castle. From here you can go to the Imperial War Museum. While horrific and devastating in parts, the museum is very beneficial to visit to understand the wars that the UK has been involved in. If you aren’t feeling another museum, or are low on time, head to Camden straight away (via the Northern Line from Bank) to soak in the atmosphere of the cool suburb. 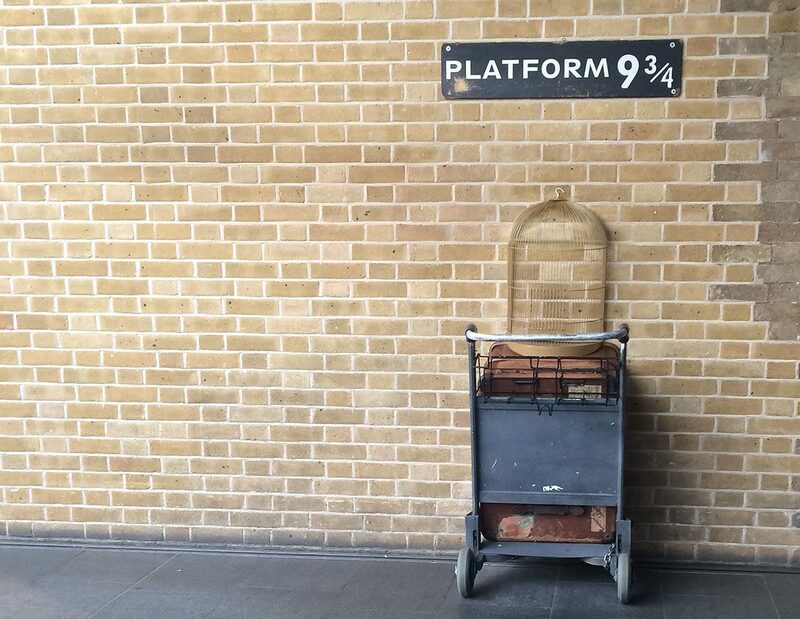 If you’re a Harry Potter fan, stop of at King’s Cross/ St Pancras on the way to take a snap of the trolley heading towards the Hogwarts Express! 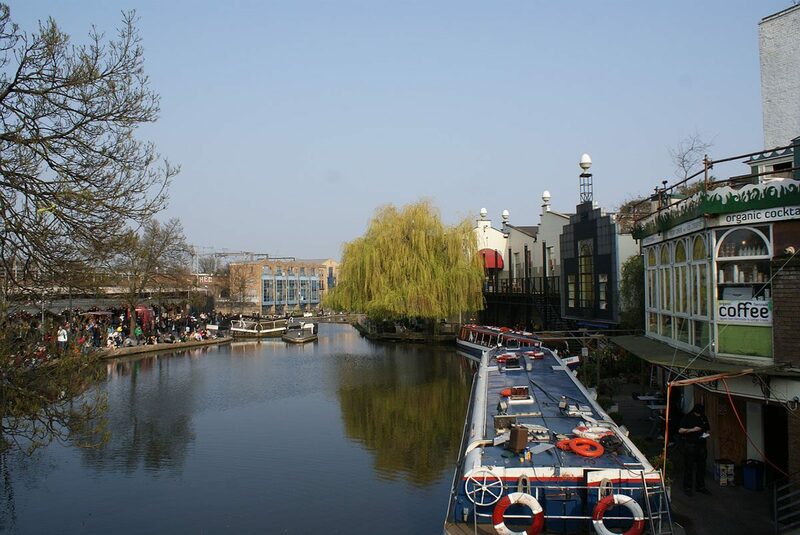 Highlights of Camden include Regent’s Canal, the many vintage shops and Primrose Hill, which has beautiful views of the city – from the other side! Whatever you end up doing in the afternoon, I recommend having dinner in Camden to get the chance to see this hip suburb. The markets are open until 6pm and there are a variety of restaurants in the area. There are lots of bars and pubs in Camden that are perfect for enjoying your last night in the city in, many with live music. The Northern Line runs 24 hours on weekends and failing that there are night buses back into the city, so don’t worry too much about getting home and enjoy your time! If you don’t fancy one of the half-days on this London itinerary, then feel free to substitute it with one of these alternatives. These attractions aren’t in the centre of London, but they can be reached easily and quickly in just a morning or an afternoon. The home of the queen, Windsor Castle is a great half day trip from the city. It is the oldest and largest lived in castle in the world and makes for some amazing photos. Highlights include St George’s Chapel which has the tombs of some monarchs (if you didn’t get enough in Westminster Abbey) and was the wedding destination of Harry and Meghan, the State Apartments which welcome you to the interior of the palace and Queen Mary’s Dolls House. Two palaces – one heralding from Tudor times and another built by William III and Mary I – stand together at Hampton Court. It was Cardinal Wolsey, and then Henry VIII’s, stomping ground, and remained as a royal residence until 1760. Visitors can see areas relating to its history, the highlight being the Tudor Kitchens. 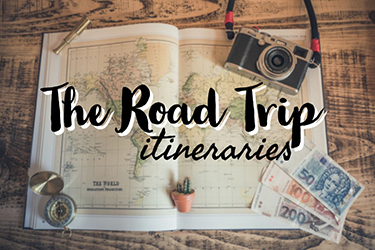 If you’ve adjusted this itinerary to suit your tastes and have a whole day free, or if you’re spending 5 days in London or longer, check out these day trips from London that take a whole day. 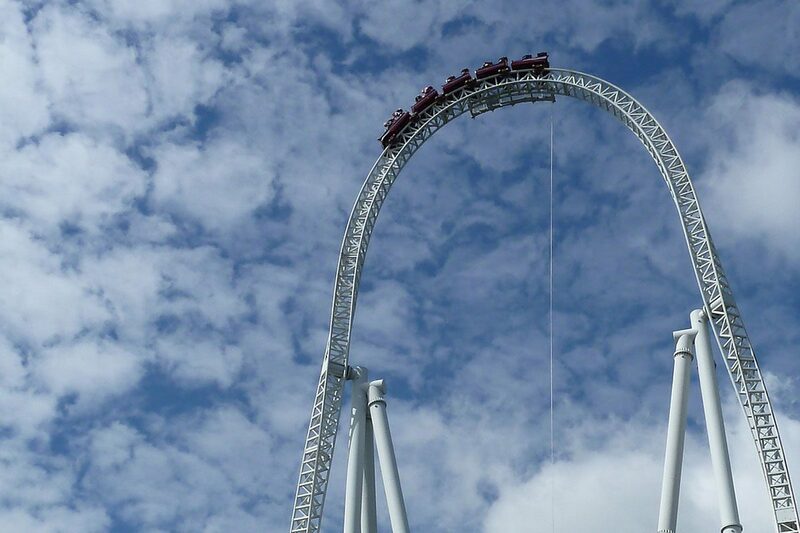 London’s largest theme park, Thorpe Park is great for all ages. 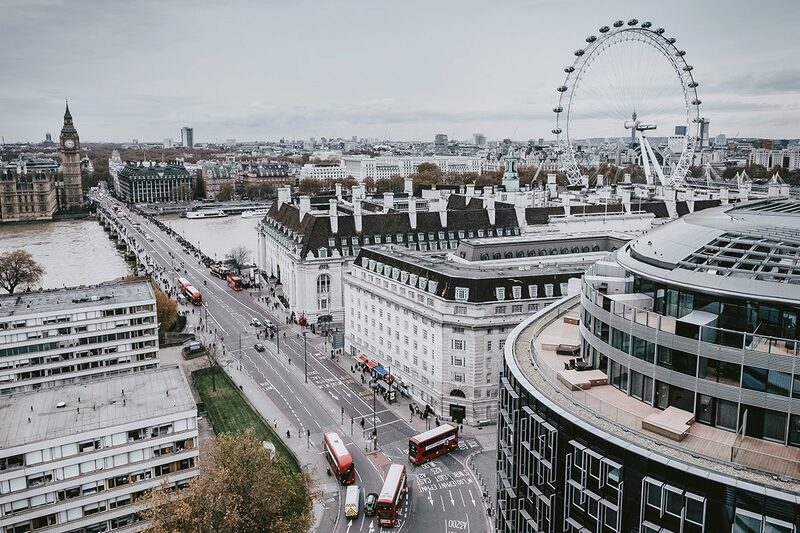 With rides ranging from loop the loop rollercoasters to spinning teacups, it’s a great visit for any adrenalin seekers or families visiting London. It is only open in the summer. Wonderful in the summer time, Hever Castle takes a bit of getting to from central London but it’s well worth it. It was the childhood home of Anne Boleyn, a character that every British schoolchild learns about at least 10 times in school. She was the second wife of Henry VIII – the king who cut everyone’s heads off – and guess what he did to her? That’s right, cut her head off. Before this lover’s tiff, they had quite a loving marriage – so loving in fact, that Henry changed the entire religion of Britain so he could divorce his previous wife and marry Anne. Hever Castle was a major setting during their courtship, and you can see their bedrooms, love letters written by them and other prestigious castle features. In the grounds, there is a maze, a water maze, Italianite Victorian Gardens and a really fun children’s playground. Beautiful Brighton is many people’s favourite coastal British city, for good reason. It’s got a really chilled out atmosphere, with lots of quirky shops lining the seafront. 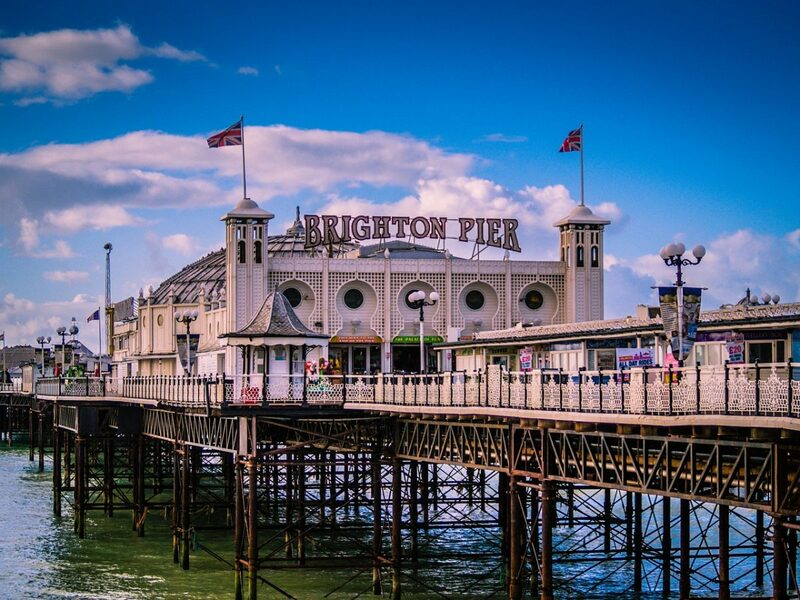 It’s also home to Brighton Pier, which could rival Thorpe Park for its rides and is seaside entertainment at its finest and Brighton Pavilion which was inspired by Asian architecture. To reach Brighton, take a train from London Victoria. Home to a UNESCO world heritage site in its centre, Canterbury is one of the most historically significant cities in the UK – and has been so since 1170. The Canterbury Tales attraction is a must-do for anyone interested in literature and medieval history. The town itself is very pleasant for a stroll around; there is a cathedral, St Augustine’s Abbey and St Martin’s church that are all well worth exploring. Famed for the prestigious university, Oxford is home to museums, a covered market and some historic pubs, some dating from the 13th century. Many visitors to Oxford go to explore the university campuses, some of which offer guided tours. Christ Church is the most famous, which was used in Harry Potter as the Hogwarts courtyard! Beautiful Cambridge has a rival university and is also home to many university campuses that are worth exploring. Also in Cambridge are punting tours on the river, museums and restaurants and a Pink Floyd tour. Just over two hours by coach, and under two hours by car, Bath is a little far but is a great day trip from London if you can hack the journey (if you want to stay overnight, there are some good and cheap hotels there as well!). The city is known for its Roman Baths, which can be explored, its Thermae Spa (perfect for some pampering after exploring London! ), its Georgian architecture and its wonderful Abbey. One day in Bath is doable – although you will be cramming a lot in – but a visit to this city is well, well worth it. I’ve written a whole post on this, so check out my London hotels and hostels guide by clicking here. Alternatively, if you want my ‘best of the best’, read on. This jazzy hostel is a great place for travelers looking to rest their head in London. The dorms are creative and spacious, with lots of natural light and individual plug sockets. The hostel has a huge bar, a courtyard and a hangout area that make socializing a breeze. They’ve also won Hostel World’s ‘Cleanest Hostel Worldwide’ award not once, but twice. Click here for rates and to book. With a budget rate including cooked breakfast, this is a great place for travelers on a budget who prefer not to stay in hostels. The rooms are decorated well in a modern style and features free WiFi and a bar, open Firdays and Saturdays. The B&B borders Hyde Park and is close to an underground station to reach central London. Click here for rates and to book. Oliver Plaza Hotel is located in Kensington, a great place to stay with kids in London, and offers double or triple rooms with included breakfast. The hotel has been recently refurbished. Each room is kitted out with all the amenities you need for a comfortable stay. Click here for rates and to book. Z Hotel has branches throughout London; I recommend the Victoria branch for value for money and to be close to the centre. The rooms are compact but cosy, with air conditioning, heating, WiFi and a TV with satellite channels. Breakfast can be purchased for extra. Click here for rates and to book. The London EDITION is a five star hotel with lavish rooms. Each is decorated in a regal style and features amenities such as views of the city, a minibar and luxury bathroom. On site is a fitness centre, a restaurant serving delicious food and a cocktail bar. Click here for rates and to book. Click here for rates and to book. An umbrella – we’re not joking about the rain! I hope that this 4 day London itinerary helps you to enjoy the best of the British capital! If you’re hanging around in the UK for some time, check out my other very British posts. 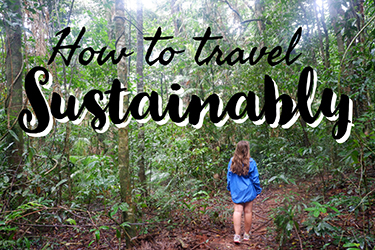 If you enjoyed this article, please give it a share or follow me over on Facebook or Instagram! Very exhaustively explained 4 days London your. I am to visit London in 3rd week of May , can u help we with short guide with itinary? I will be staying in Wembley. Also guide in transportation as I will be my own to travel to London with my wife. We are 68 -and 66 year senior citizens from India. Hi Vikram! 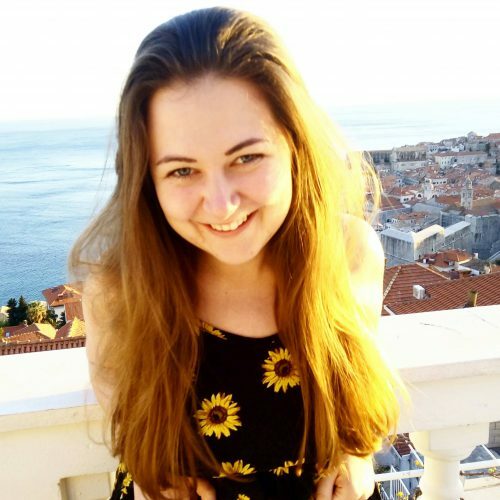 My itinerary details all of the best things to do, if you haven’t booked accommodation yet I recommend going to my where to stay in London post https://clairesfootsteps.com/where-to-stay-in-london/ which will help! 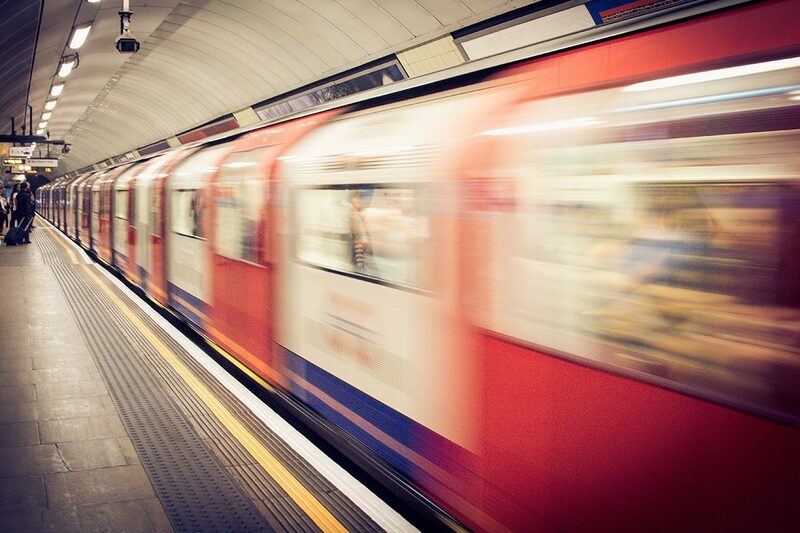 For transport, get an oyster card and use the tube – it’s much more efficient than the bus. If you can avoid travelling during rush hour (7:30-9:30 and 5-7) you’ll have a much more relaxed time. Let me know if you have any more questions!